The project is implemented by Youth Municipality Council – Kyustendil, with the support and cooperation of Bratstvo 1869 Community Centre and Probuda 1961 People’s Community Centre – Kyustendil, financed by “European Youth Foundation” by grant scheme D.
Objectives: To contribute to the social cohesion and to improve the access to social rights of the young people in an unequal position; to lead to activating and inclusion of youths from different ethnic origin and social background in joint activities for promotion of the idea for the European Year for Combating Poverty and Social Inclusion. Activities: Press conferences, a two-day training seminar on the theme “2010 – European Year for Combating Poverty and Social Inclusion”; competition for a painting “Paint Your Rights”; round table on the theme of “2010 – European Year for Combating Poverty and Social Inclusion”, shooting and broadcast of a 5-minute video clip dedicated to poverty and social inclusion, informational campaign for the International Day of Tolerance – November 16, shooting and broadcast of a TV discussion, organizing a concert – happening etc. The implementation of the project activities will contribute to the establishment of a long-lasting partnership between Youth Municipality Council – Kyustendil, Youth Volunteer Club at Probuda, People’s Community Centre – Kyustendil and Information Centre Europe Direct – Kyustendil at Bratstvo Community Centre. On June 28th at 11 o’clock The Young people Combatting Social Exclusion and Poverty exhibition was opened in the halls of Probuda 1961 Community Centre. 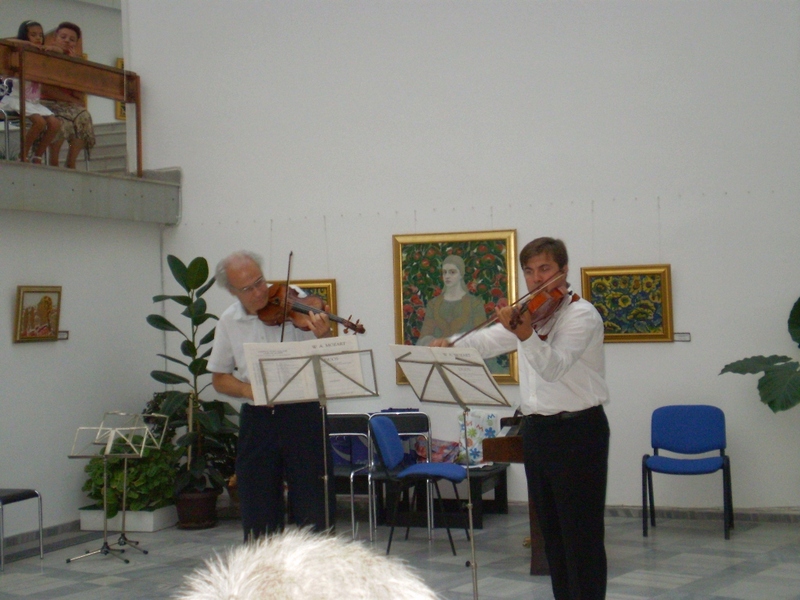 The event was implemented by Youth Municipal Council – Kyustendil Association in partnership with Bratstvo 1869 Community Centre and Probuda 1961 Community Centre, funded by European Youth Forndation under the grant scheme D. The paintings awarded in the Regional Painting Competition “Paint Your Rights”, which was organized within the project, were displayed in the exhibition. 32 students from different schools on the territory of the municipality of Kyustendil participated in the campaign. 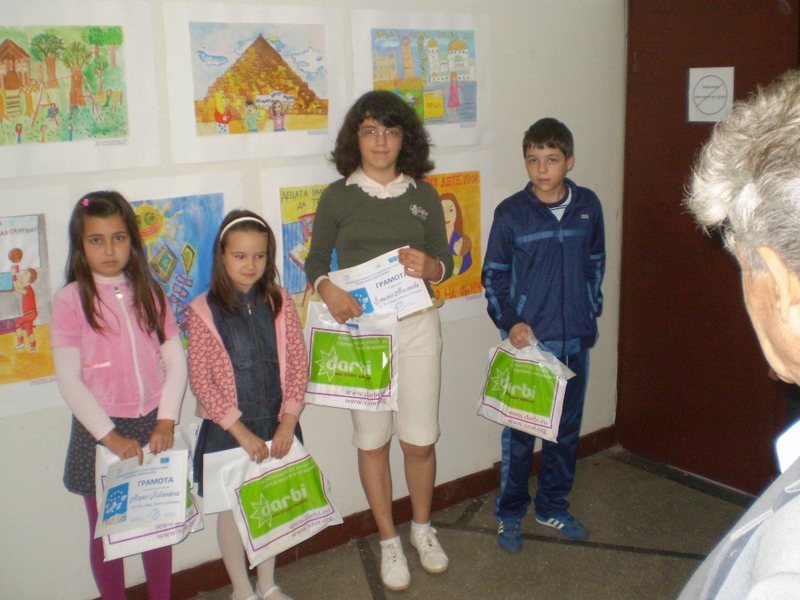 All the participants in the competition received rewards and the paintings of the winners of first, second and third prizes will be printed on information posters which will be distributed during the campaign on the occasion of the International Day of Tolerance. Round table on 2010 – European Year for Combating Poverty and Social Exclusion was held on August 12th 2010 – International Youth Day at 11:00 o’clock in the Blue Hall of Bratstvo 1869 Community Centre. 30 representatives of LARGO Association, Bulgarian Youth Red Cross – Kyustendil, Agency for Social Assistance, Tourism Council – Kyustendil, Labour Bureau – Kyustendil, members of youth organizations from the municipality of Kyustendil etc. took part in the event. The participants discussed the initiatives of the European Commission on this issue and strategies for assisting people living in poverty and social isolation. Through the implementation of this activity, an attempt was made to integrate citizens of Kystendil and the region to this idea and draw the attention of stakeholders and institutions. The Round table was organized by Youth Municipal Council – Kyustendil under the Young People and the Combat with Poverty and Social Exclusion project, funded by the European Youth Foundation, under grant scheme D.
On September 30th and October 1st 2010, a two-day seminar on 2010 – European Year for Combating Poverty and Social Exclusion – EU Measures to Tackle the Problem, under the Young People Combating Poverty and Social Exclusion project- 4739.1.D.2010, implemented by Municipal Council – Kyustendil Association in partnership with Bratstvo 1869 Community Centre and Probuda 1961 Community Centre, took place in the holiday village of Ognyanovo. 20 youths – representatives of LARGO Association, Municipal Council – Kyustendil Association, NABEC, Bulgarian Youth Red Cross, members of youth organizations and school boards from the municipality of Kyustendil participated in the seminar. 1. The European Year for Combating Poverty and Social Exclusion- Strategic Framework Document. Priorities and Guidelines. 3. Who Is at Risk of Poverty and What Measures Are Being Taken? Exercises on Vulnerable Groups, Communication with the Media on the Occasion of the European Year for Combating Poverty and Social Exclusion, Creation of Interactive and Dynamic Activities for Involvement of Young People etc., were held on the seminar. On November 3 th 2010 at 11:00 o'clock an information campaign for the distribution of posters, promotional T-shirts, informational leaflets and materials, dedicated to November 16th - the International Day of Tolerance, was held in the area of 1869 Community Centre - the central city area, Probuda 1961 Community Centre - Kolusha district and Professor Emanuil Ivanov Science and Math School. Over 30 youths - volunteers from Youth Municipal Council Association, Bratstvo 1869 Community Centre, Probuda 1961 Community Centre and European School Club at the Science and Math School participated in the campaign. During the campaign the accent has been on the enormous attention given by the European Union and its institutions to tolerance, equality and understanding. 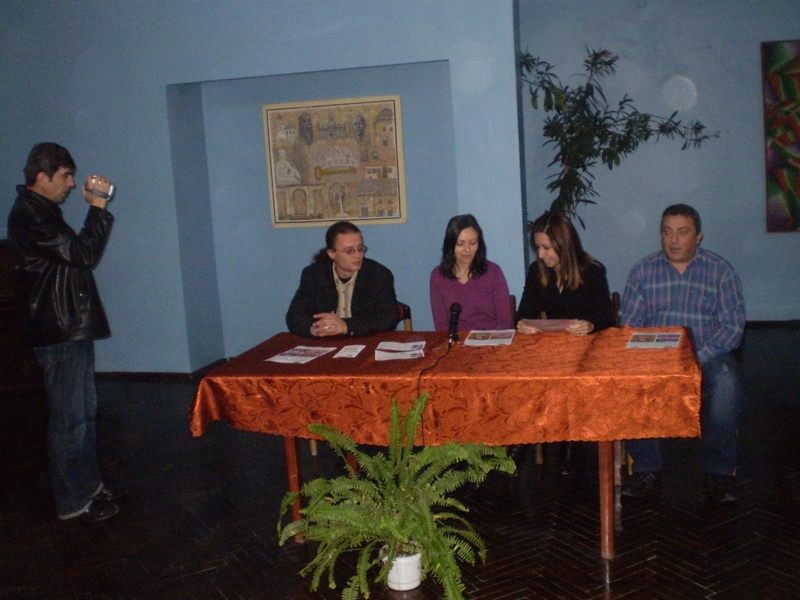 On November 11th 2010 at 11:00 o'clock a press conference for announcing the results of Young People Combating Poverty and Social Exclusion Project was held in the conference hall of Bratstvo 1869 Community Centre. The project was implemented by Youth Municipal Council - Kyustendil Association in partnership with Bratstvo 1869 Community Centre and Probuda 1961 Community Centre for the duration of five months. It is funded by the European Youth Foundation under grant scheme D.
The activities and the results achieved under the project were presented by the Manager of the Project - Lyudmila Hristova, Elina Kostadinova, Ivan Andonov and Svetlin Kirilov. Representatives of different local and regional TVs, radios and newspapers attended the press conference.